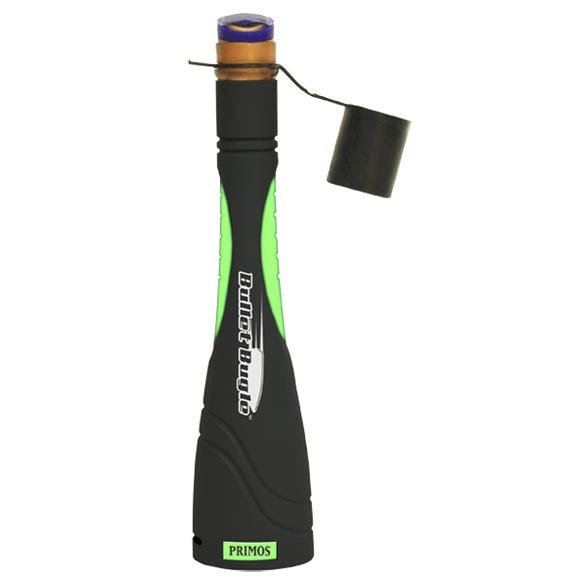 The Bullet Bugle from Primos is a compact bugle built for the field that gets its design from the competition stage. Its patented Support Shelf mouthpiece enables you to reproduce accurate bugles and cow calls with variable tones. Compact design allows for easy carry and variable sounds. Patented mouthpiece and Support Shelf with Blue Reed. Soft flexible chamber allows for quiet and easy carry.